It is hard to say how this came to be really, I remember emailing Mom and Shanna over a year ago saying this would be something fun to do together… but I think it’s bigger than that. Mom instilled an appreciation and respect for nature in us from an early age. I remember being about 8 years old and seeing the Greenpeace boat docked on Salt Spring Island and thinking that, is what I want to do when I grow up, sail around and save the whales. Every lemonade stand earning after that I asked to donate to charities that protected the environment. When Mom decided to write a book I helped her set up a blog so that she could start gaining an audience. But on top of her job, writing, keeping her urban farm happy, and adventures with her dog- finding the time to blog was a struggle. Shanna and I wanted to help out but it was focused on urban farming which neither of us felt we could write about with authority. 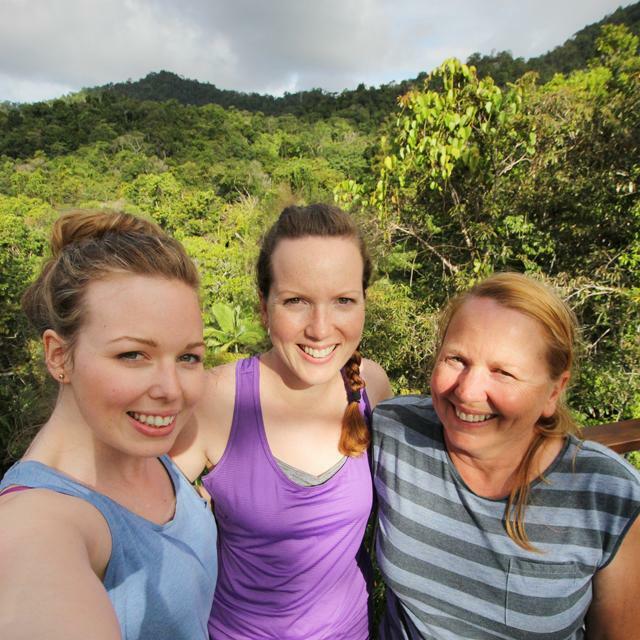 I started thinking what we could write about, the three of us with our collective passion for sustainability and hope for the future but with completely different lifestyles and skill sets… we could probably relate to a lot of people. Why not share what we’ve learned? So that, I think, is how we got here. Now, on who we are- another thing our Mom instilled in us is a unique sense of humour with a healthy dose of sarcasm. Also independence, appreciation for a good story and general open-mindedness (even though we can be opinionated at times). Mom was young when she had us compared to the norm today, so she really grew up with us and it is part of what makes the three of us so close even though we are SO different at times. Growing up we were always outdoors in the summer – camping, hiking or on the boat – it was rare to be inside. Being inside meant you were either in trouble, or mad at your sister because of a horribly fun game called torture that always resulted in tears. I think growing up outside so much is what made us passionate about protecting the environment, ensuring it is there for future generations to appreciate and learn from. So, what can you expect to see from us? We’ll be sharing what we’ve already learned about sustainable living through our respective experiences and backgrounds but also taking you on our current journeys. Mom is your source for the farming life, Shanna is your urbanite and I (Nikkey) am writing to you from an outdoorsy town where the ocean meets the mountains. You might find yourself with a similar lifestyle to one of us, or not, but the information and insight we share will hopefully inspire and encourage you either way. Not tired of hearing about us yet? Head over to the About section. That’s a wrap on us, we can’t wait to hear about all of you and where you’re at on your journey!